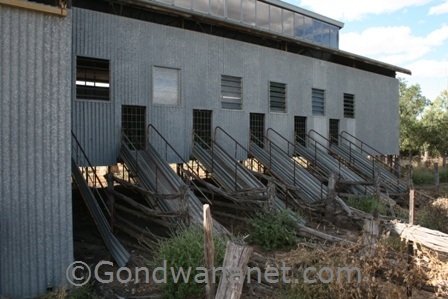 Bladensburg National Park is near Winton in outback Queensland. 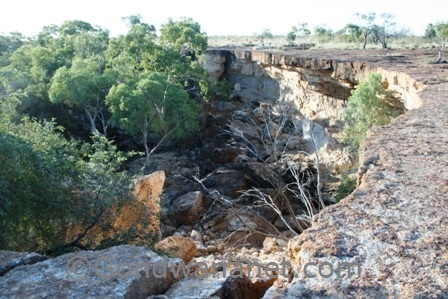 It is a little known national park in the dry outback south of Winton and north of Lark Quarry and Opalton. 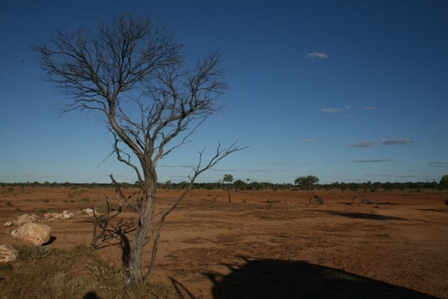 Apart from some river gums in the northern end of the park, it is dry open landscape, very typical to this part of Australia. 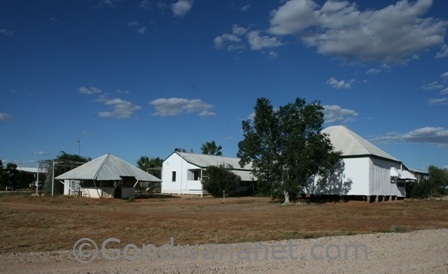 There is some history in the park - an old woolshed, Bladensburg Homestead, a cairns and a grave. A little drive away (mostly four wheel drive) is the rugged Scrammy Gorge. 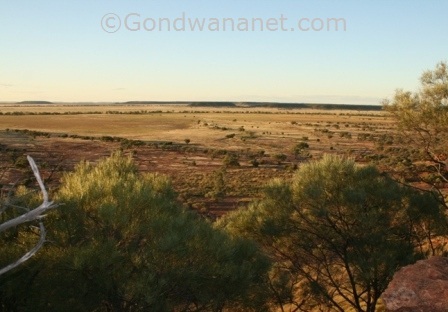 And a little further is Srammy Lookout, with views over the surrounding landscape that is very flat, with only some mesas sticking out. Here's a map of the national park. You can double-click anywhere on the map to zoom it in and see the places closer. Drag the map to move around, and if you want to see the satellite image with Google Earth, click on "Sat" in the top right hand corner.